Therapists (PTs) are very well-known for the compassion they have towards people in need. This is why many Physical Therapists from around the country are actively participating in the relief efforts of the disastrous effects of Hurricane Harvey that devastated people in Texas and Louisiana. 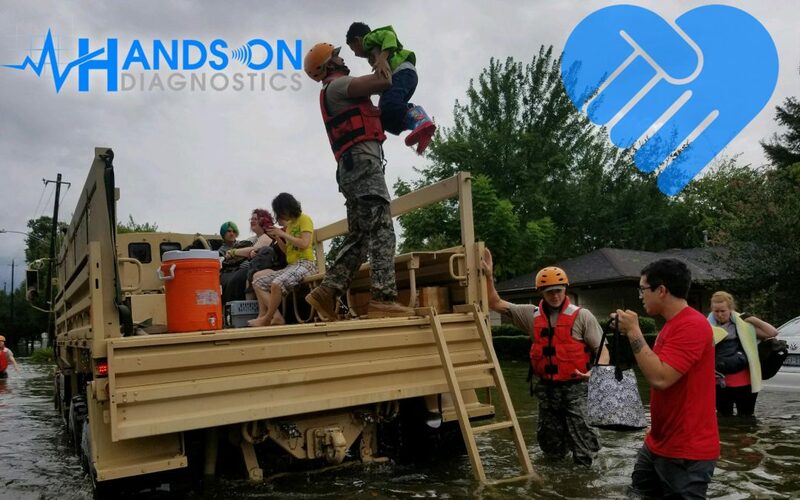 Physical Therapists who are members of Hands-On Diagnostics, a group of entrepreneurial and forward thinking PTs who are experts in advanced Diagnostic Testing technologies, have contributed $6,000 towards the relief effort for Hurricane Harvey. The funds were equally donated to the American Red Cross and the Volunteer Ministers. “Helping people is one of the most important characteristics that define the role of physical therapists in society,” said Dr. Dodson. “Deciding to donate and help the people in need is a duty that we have as PTs,” added Dr. Simon. Helping people is one of the most important characteristics that define the role of Physical Therapists in society.